For today's monitoring, I was outside, rather than inside the shack with the dish aimed out the window. 1. Being outside with the antenna results in much better results than inside. 2. The Icom R-7000 is far more sensitive than the AOR 8200. No comparison. 3. Foliage on the trees really cuts down on the signal strength. 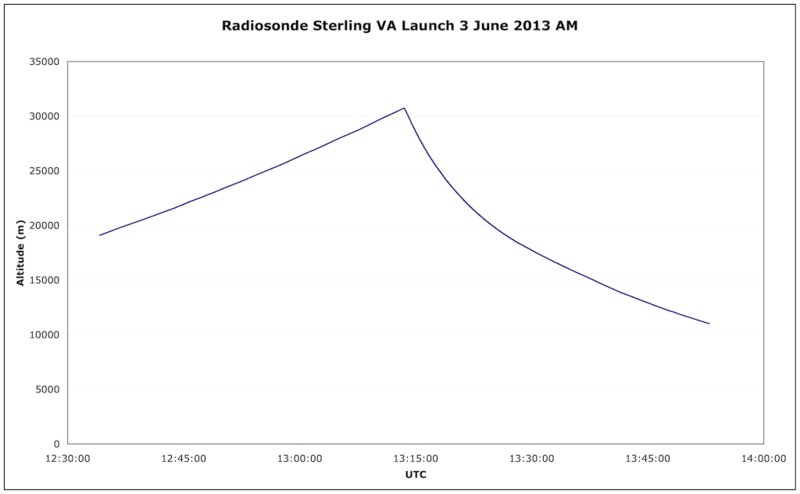 I observed the signal increase when the antenna was aimed at an open spot between the trees. Reception will likely be much better in the winter. 4. 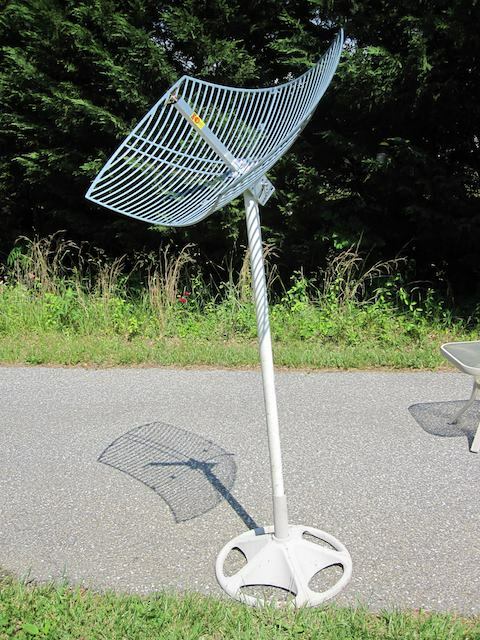 The modified Wifi antenna is really directional. This, as Adrian Monk would say, is both a blessing and a curse. Movement of just a few degrees causes the signal to drop out. The current set-up does not lend itself to easily adjusting the elevation, and even the azimuth is tricky. 5. It's annoying to have to haul gear outside to listen to a sonde. I need to figure out a good permanent location for the antenna, a way to rotate it in 2 axes, and feed the signal back to the shack with minimal loss. 6. I was able to pick up the 1681.478 MHz signal from several GOES weather sats while I was outside with the setup, although it was quite weak.